The AWS Competency Program welcomed 25 new AWS Partner Network (APN) Partners in October—spanning workload, solution, and industry designations. Please join us in welcoming our newest AWS Competency Partners! 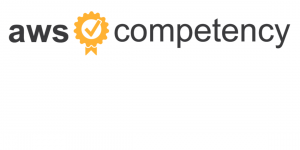 To receive the AWS Competency designation, APN Partners must undergo rigorous technical validation related to industry-specific technology, as well as an assessment of the security, performance, and reliability of their AWS solutions. This validation gives customers complete confidence in choosing APN Partners to team up with. Claranet’s services help simplify the management of IT services so customers can concentrate on getting and staying ahead. They provide hosting, security, networks, and communications managed and consulting services. Infosys helps enterprises transform in a changing world through strategic consulting, operational leadership, and co-creation of breakthrough solutions, including those in mobility, sustainability, big data, and cloud computing. Heimdall Data is a SQL database proxy for Amazon Redshift, Amazon RDS, Amazon Aurora, and Amazon ElastiCache. It is transparently deployed into AWS environments and offers performance improvement for your SQL read and write queries. Hortonworks drives innovation in open source communities such as Apache Hadoop, NiFi, and Spark. Their connected data platforms power modern data applications that deliver actionable intelligence from all data. Trifacta empowers analysts to interact with data in ways they never thought possible. Experience automated visual representations of data based upon the inferred data type of each attribute of the data. ClearDATA is a healthcare exclusive, HITRUST-certified AWS MSP. Advanced monitoring and automation, combined with a comprehensive BAA, ensures healthcare organizations adhere to the highest standards in security and compliance. Five Talent is a software architecture and custom design/development firm that creates solutions for custom applications and hardware integrations for startups to enterprise organizations. Ibexlabs leverages comprehensive DevOps experience to resolve system pain points, transform infrastructure, and work in tandem with customers. All for the growth and acceleration of your company. The IBM Cloud Innovate method provides a comprehensive end-to-end method for cloud transformation. They provide strategic guidance for organizations to drive innovation through successful hybrid cloud adoption. Berlin-based kreuzwerker GmbH provides consulting, bootstrapping IT departments, developing cloud infrastructures and DevOps solutions, web and mobile applications, training and coaching. Mechanical Rock’s test-first approach delivers results quickly and equips customers with modern, high-quality software development platforms. Synthesis assists enterprises to become cloud ready, successfully execute mass migrations, harness the benefits of big data analytics, and extract the cost savings and regulatory benefits of compliance. Logz.io is an intelligent log analysis platform that employs advanced machine learning to automate anomaly detection and aid resolution. M&S Consulting is committed to delivering in complex environments with long-term customer success. They have merged process and technology into innovative solutions and deep pockets of expertise. SAIC provides full life cycle services and solutions in the technical, engineering, intelligence, and enterprise information technology markets for large, complex projects. Knowledgent is an analytics pure play company that provides AI/ML services to customers in the health care and life sciences, finance, and retail verticals. Vector ITC Group helps customers in the process of the digital transformation and enforce their marketing campaigns with quality, commitment, proximity, know-how and competitiveness. Candid Partners combines enterprise-class scale and process with born-in-the-cloud domain expertise. Their management consultants easily translate complex business needs into specific technology solutions using AWS specialty expertise. Edrans is an IT service and consulting provider in Argentina that delivers services to global SME companies. They help customers throughout the digital transformation with the best access to experts in modern technologies. Storm Reply specializes in design and implementation of cloud-based solutions and services. They help customers in Europe run their systems and applications on AWS and have experience in cloud IaaS, SaaS, and PaaS architectures. Bosicloud specializes in planning, implementation, integration, business intelligence, operations, and maintenance services for Oracle, AI, and Amazon EMR solutions. They have helped commercial clients architect, deploy, and manage Oracle solutions on locations and in the cloud. PwC helps companies seize opportunities on AWS to create innovative new services and business models that decrease time to market, create operational efficiencies, and engage customers in new ways. CloudHealth gives enterprises the ability to effectively optimize and govern their on-premises and AWS environments to drive confident decision-making and smarter growth. They help customers maximize their cloud investment, improve efficiency, and mitigate security risks. CrowdStrike’s Falcon Discover for AWS helps customers lower the risk and meet compliance by providing a variety of managed and unmanaged Amazon EC2 instances. Falcon Endpoint provides advanced protection for Amazon EC2 running on Windows and Linux. Cyxtera combines a worldwide footprint of best-in-class datacenters with a portfolio of modern and hybrid-ready security and analytics offerings. Cyxtera’s AppGate SDP solution secures the enterprise with dynamic, context-aware security that protects critical services and applications.